The CV Link was born last week. 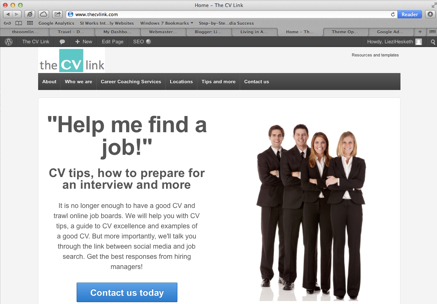 I have been providing CV tips on how to write a good CV, combined with examples of a good CV and interview tips to friends and family for years. Finally this year, I realised that I could provide this service to others too. Is this your big project? Many of you might be asking whether this is the “big thing” I have been working on over the past few months, and the answer to that is a firm ‘no’. I am making good progress on that project, but it will take a good deal longer as it is a very ambitious project. However, I do promise to let you know the progress I make. 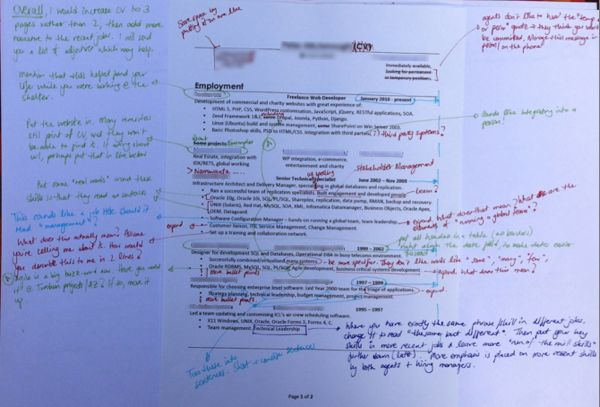 The CV Link was a good compromise to continue working on my big project, whilst using some of the recent knowledge I gained to integrate the relationship between social media and job search. I think it is fair to say that you’ll be guaranteed a different service from me, than you’ll get elsewhere, because my approach is entirely different. My focus is not to get you a great CV or an interview. I want to get you a job! How do you help find me a job? Over the years I developed a formula which worked for me. As a contractor for almost 10 years, I was only ever out of work for 3 weeks during that time. As my formula worked for me, I was sure it would work for others. As I started to share my CV tips and it seemed that everyone who used it, saw an increased level of success. Prepare for interview: Teaching you how to use body language and other techniques to maximise your chances in front of the hiring managers. How can I share in this magic formula? Firstly, I must make it very clear: there is no short-cut to a good CV. This process is time-consuming, requires dedication and it can be hard at times. But it pays dividends. Just as an example, I was reviewing a CV yesterday. I asked the candidate to present me with his best CV. And this is how many comments I had on his first page (see image below). I would expect us to go though 2-3 iterations like this one before we have a good CV, which will enable us to move onto step 2. So, if you’re willing to put in the hours and effort, I can help! And I am more affordable than you think. My neighbour even called me cheap! I am currently based in Altrincham, near Manchester, UK. However, I am currently planning to be in Pretoria, South Africa for a few months towards the end of the year (2013). But the good news is, you don’t have to be geographically close to have access to the service. We are able to use Skype or Google+ Hangouts to do it all over the internet. You may already be looking for work, or you may just be thinking about changing jobs. Give yourself the best chance by making contact. Give me a call if you want to have a chat or see if I can help, the first call is always free of charge, and you can contact me through The CV Link site.